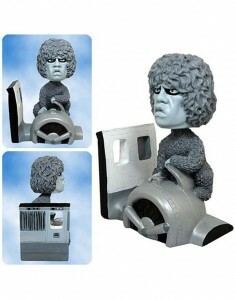 Fandom.com may be long gone but others have stepped in to serve “fervent consumers” with the “willingness and discretionary income to indulge their passions” for merchandise like this. Richard Matheson’s classic 1959 Twilight Zone episode “Nightmare at 20,000 Feet” now is immortalized in a pair of commemorative bobbleheads. 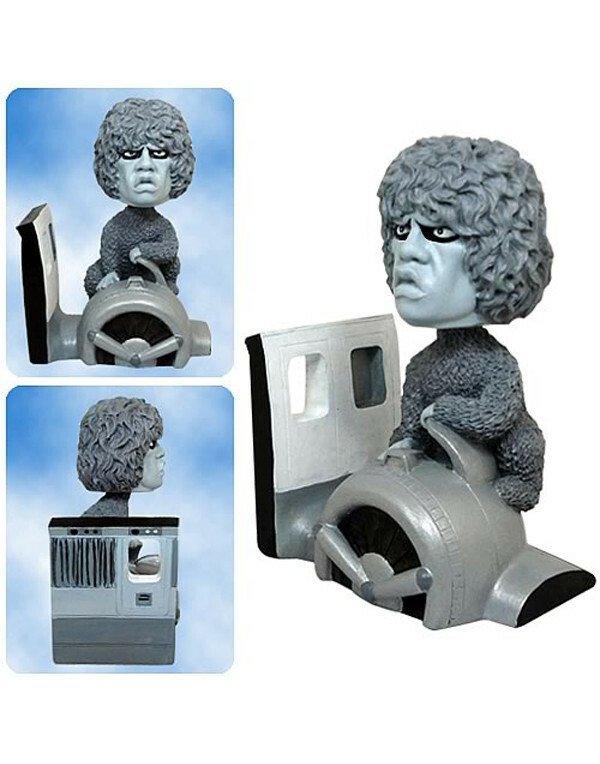 This ultra-creepy bobble head is authentically designed and exactly painted in a black-and-white motif and measures 6-inches tall x 5-inches wide x 3-inches long. Inspired by one of the most memorable scenes from the show, the remarkable airplane-wing base has Gremlin sitting on the engine housing, tearing pieces from the wing! 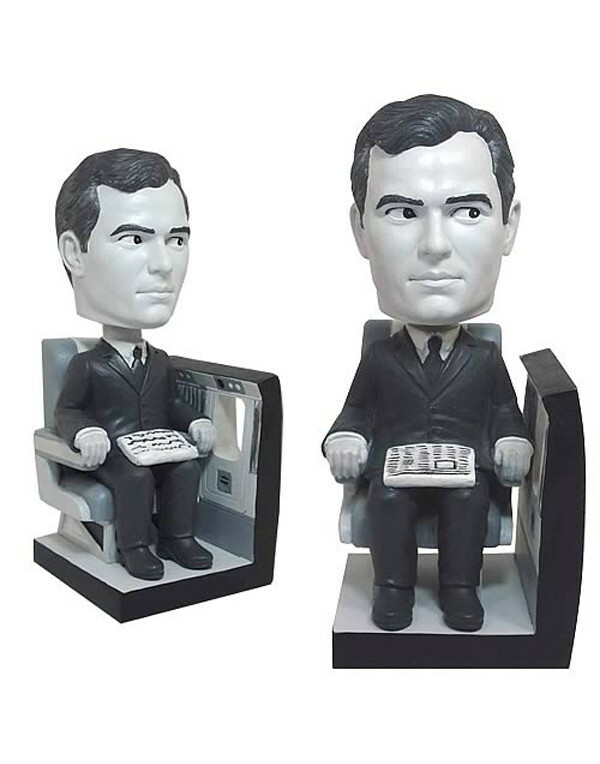 Based on the character played by William Shatner in the terrifying “Nightmare at 20,000 Feet” episode, it sports an authentic black-and-white color scheme and a cool airplane-themed base. This entry was posted in Skiffy and tagged Richard Matheson, Twilight Zone, William Shatner by Mike Glyer. Bookmark the permalink. Bob (Robert Charles) Wilson will be much amused by this when I send him the link, I’m sure. I’d fogotten all about that episode of The Twilight Zone and the coincidence in name. 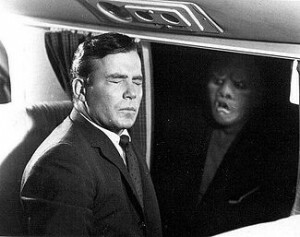 Shatner’s nice and all, but I also liked the version of “Nightmare’ in the Twilight Zone movie with John Lithgow as the unhinged guy on the window seat. Any chance of a bobble head featuring him? Might these be intended to serve as bookends? They look that way, although if you actually put a row of books between them you’d lose the impact because now Shatner would be staring at a blank surface. What about putting them together as a pair at one end, and buying one or two other Twilight Zone bobbleheads to hold up the other end? There are several more on the market.